Wait, you cry. Spears, the sugar-pop ingenue with the Louisiana accent, is Swedish? Well, no. But most of her music is. In fact, Spears is in the land of blondes and bikini teams right now working on her third album. Sweden bills itself as the third-largest exporter of pop music, behind the United States and Britain, but that may be selling the country short. We owe, or can blame, Sweden for almost every teen hit of the past few years. 'N Sync, the Backstreet Boys, LFO and Westlife all must credit Swedish producers for writing or co-writing their biggest songs. Much of this influence can be traced to Denniz Pop, a former deejay who discovered and nurtured Ace of Base, producing The Sign and other hits. Pop also recruited a heavy-metal musician named Martin White. White's record didn't sell so well, but the artist, who was renamed Max Martin by Pop, turned out to be a teen production prodigy. 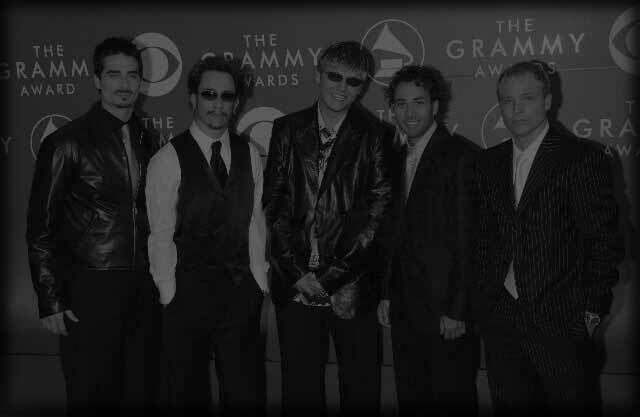 Martin wrote or co-wrote As Long as You Love Me, I Want it That Way, Shape of My Heart and countless other Backstreet Boy songs, "...Baby One More Time, Lucky, and Oops... I Did it again for Spears, and It's Gonna Be Me, and Tearing Up My Heart for 'N Sync. In his spare time he co-wrote and produced Bon Jovi's It's My Life. Of course, these aren't Sweden's first contributions to the Top 40. If anyone has forgotten about Abba, there's a popular musical based on the group's songs playing in Los Angeles called Mamma Mia. The '80s, meanwhile delivered Roxette and the '90s, the Cardigans. Recently, Sweden exported two of it's own teen dreams, girl duo M2M and the Abba knockoffs A*Teens. All of which begs the question: How does a country of only 8.9 million (very cold) bodies produce so much aural cotton candy? Quincy Jones Jr., son of the American producer and a Swedish mother, has another theory. Raised in Sweden, he says the country serves as a bridge between European dance music and the pop and rock traditions across the Atlantic. "Sweden takes the best of American music and the best of European music, plus we have a heitage of folk songs," Jones says. He adds that under Sweeden's socialized education system, music training is offered from preschool through college. Schools provide instruments and instruction for free to all students. Whatever the reason, Sweden continues to churn out inescaple melodies. Pop died of cancer in 1998, but Martin and a handful of Pop's apprentices are working independently with various American and Swedish groups to produce the latest hummable hook. Their latest export, from the Swedish superstar Britney Spears, is due in the summer. B031GF Really enjoyed this blog post.Much thanks again. Fantastic.